On the evening of May 2nd, the Oregon State University College of Pharmacy alumni and friends gathered at Portland City Grill to honor the recipients of the 2015 Icons of Pharmacy Award including Shelton Louie and Kathy Hahn, who have each greatly affected the way pharmacists practice. 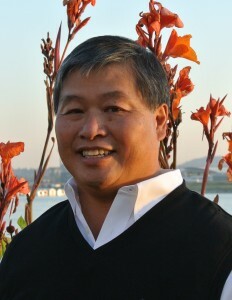 An OSU College of Pharmacy 1978 graduate, Shelton Louie set his sites on pharmacy with the encouragement of his father. After graduating, he went to work for Fred Meyer. His career there spanned 30 years where he was both Pharmacy Manager and Regional Manager. During this time he saw a need for patient safety and pharmacy efficiency, and was inspired to create a better prescription delivery system. In 1999, Shelton founded GSL Solutions, Inc in order to develop an improved pharmacy will-call system. As a pharmacist and entrepreneur, Shelton is an innovator. He has been granted 17 patents on using Radio Frequency Identification Devices (RFID) in pharmacy workflow in order to improve pharmacy accuracy and efficiency. The first GSL Solutions prescription storage units, known as the IntelliCab system, were installed at Fort Campbell, KY in 2008. Since then, GSL Solutions has installed their system in all Army Medical Centers across the USA with Air Force and Navy fast following. IntelliCabs have become the standard of practice for pharmacy will-call in the Department of Defense. In the retail channel, IntelliCabs have been installed in the top 10% of busiest Safeway stores, and GSL Solutions has recently been granted a contract with Kaiser Permanente. The IntelliCab system creates labor savings, and improves safety and customer service. Among his accomplishments, Shelton was named an Oregon State University Alumni Fellow in 2012 and has been a guest speaker for the Columbia River Economic Development Council’s High Technology Event of Vancouver, WA. As a contributor to his communities, he is the Founder and Chairman of the annual St. Joseph Golf Classic, now in its 20th year, benefiting St. Joseph Catholic School in Vancouver, WA. This year, Shelton kicks off the Vancouver International Food Fest, also benefiting St. Joseph School. He volunteers and is a donor at the Society of St. Vincent De Paul of Vancouver, WA. Dave Schulberg, a close friend and colleague of Shelton’s, was present at the awards ceremony to help recognize the influences Shelton has had on the pharmacy profession and present his award. Dave graduated from the College of Pharmacy in 1975 and spent 25 years practicing pharmacy at Fred Meyer. After starting as a clerk, he was promoted several times and completed his career with Fred Meyer as Director of Pharmacy in 2000. He then went on to Wellpartner and was Vice President of Pharmacy for two years before moving to PayLess Long Term Care where he was president and CEO. 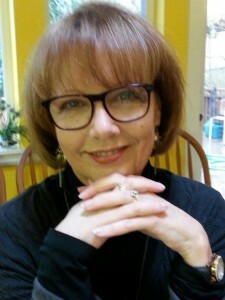 In 2006, he branched out to start his own business, a Pharmacy Services/Staffing Agency called Luminary Solutions, Inc.
Kathy Hahn has spent the last 20 years as a trailblazer, educating others about pain and advocating nationally, regionally, and locally for better pain management. Kathy noticed a need for better pain management when working as a Pharmacy Manager for Bi-Mart in the early 1990’s. After 10 years of working with oncology patients at a hospital in Los Angeles, she felt comfortable managing complex pain patients. As a credentialed Pain Practitioner and Pain Educator, her impact on pain management education has been groundbreaking, influencing students, faculty, practitioners, legislators, and patients about the complexities of managing pain. She designed and implemented a national-caliber clerkship rotation for OSU pharmacy students, focusing on pain management. In an unprecedented move, Kathy, a pharmacist, was appointed Chair of the legislatively managed Oregon Pain Management Commission in 2002, which she led for 10 years. As Chair, Kathy played a key role in helping pass legislation implementing Oregon’s Prescription Drug Monitoring Program (PDMP). The program allows healthcare providers to conveniently view a patient’s prescription drug history, saving time and providing better customer service for patients. Kathy has also served as an active member of multiple local, regional, and national organizations including the Oregon Pain Society, the Western Pain Society, the American Academy of Pain Management, and the American Society of Pain Educators. Kathy is considered a national, regional, and local expert on pain, having spoken at multiple conferences. She has been recognized with numerous awards including the American Pharmacists Association One-to-One Patient Counseling Recognition Program, the Pain Society of Oregon Pioneer in Pain Award, and Bi-Mart Corporation Excellence in Clinical Services. In 2012, Oregon State University College of Pharmacy bestowed honorary alumni status to Kathy. Brian Crook, a colleague of Kathy’s, introduced her at the awards ceremony. Originally from Los Angeles, Brian, came to Oregon for pharmacy school and graduated from OSU College of Pharmacy in 1996. He is currently the Vice President of Pharmacy for Bi-Mart Corporation and lives in Eugene, OR. He earned his MBA from the University of California, Irvine with an emphasis on Health Care in 2008. Brian is a past-president of OSPA from 2010-2011 and served on the OSPA Board of Directors from 2008-2012.